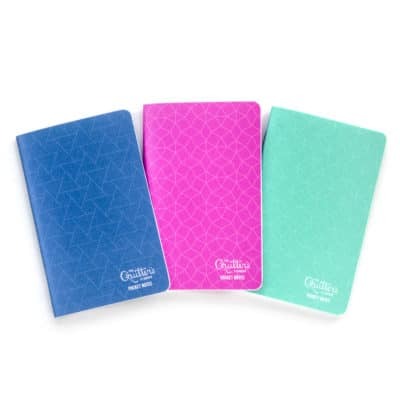 Everyone has different needs and desires for using their personal planner. 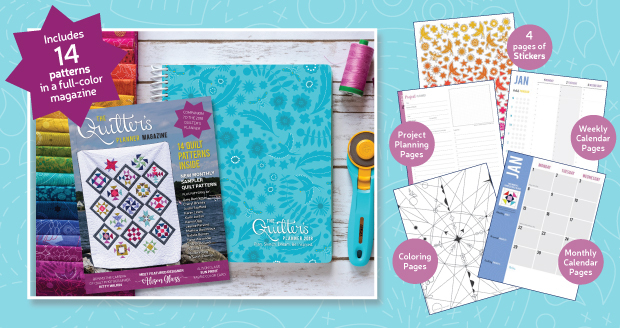 With the Quilter’s Planner, we have done our best to create a versatile and functional planner that works for everyone! One of the most common requests we receive is how to insert pages into the planner. We have explored many different methods to insert pages and want to share them with you so that you can do what works best for you. This post contains affiliate links, so you can easily find the products mentioned on Amazon. Check out the video above to see one of the easiest methods to insert pages. 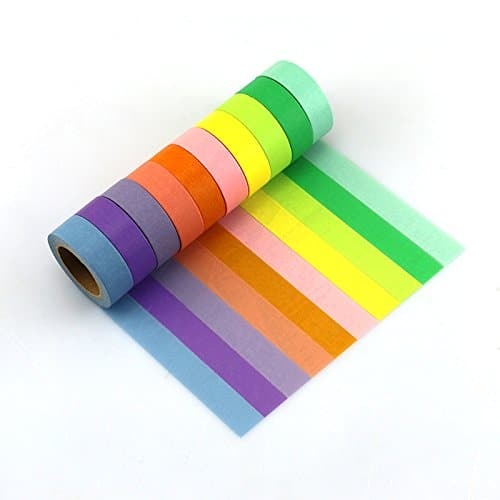 Our first method is to simply use some of your favorite decorative washi tape. 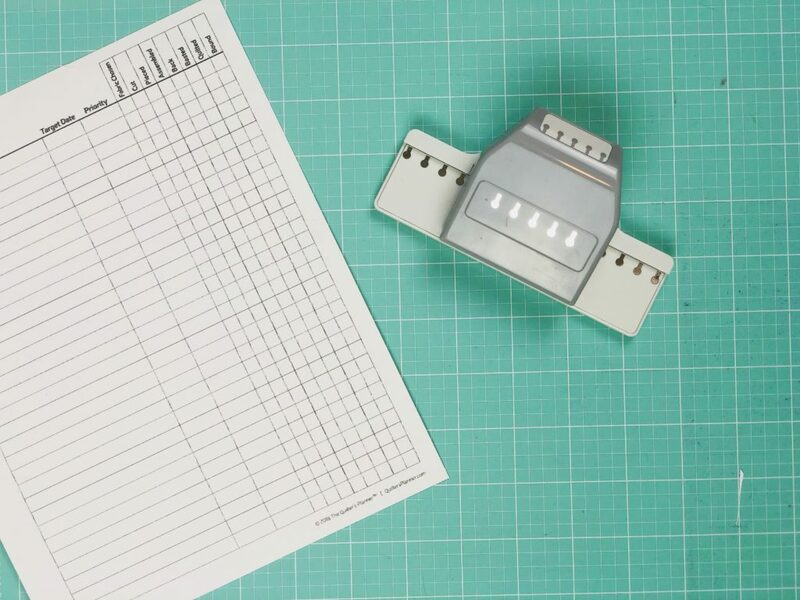 Tape the top edge of the page you’re inserting on top of another page within the planner. This is especially helpful in the Project Planning pages section when you fill up one page and are ready to add another. QP owner Anna Veach shared with our Facebook group that this has been a very popular method for Bullet Journal users for many years, and that it works beautifully for the QP too! There is a fantastic little gadget called the EK Tool Edger Punch (Round Binding Edge) that is very affordable on Amazon and is perfect for punching holes to add pages to your spiral (affiliate link provided). 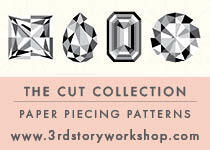 We recommend printing out your pages on cardstock. Line the side with duct tape, and punch the edges of new pages at the top and bottom (see video above for more details). Then you can then gently press the pages into the spiral binding without the need for uncoiling the binding. Stephanie also shows you this technique in the second half of the video shown above. 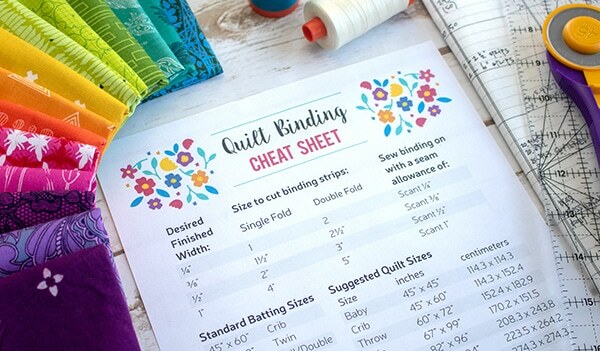 If you love all the special features of The Quilter’s Planner, but aren’t a fan of spiral coils, use this tip shared by Kristy M. in our Facebook group: Twist and uncoil the spiral binding and use a regular 3-hold punch. The pages can then be placed in a 3-ring binder making inserting new pages quick and easy! Want to Download More PDF Pages of the Project Planning Sheets in the QP? Do you have questions about how to keep your spiral coil from ever unwinding? Be sure to watch this quick video on happy, healthy spiral care! Do you have a great idea or method that we have not shared here? 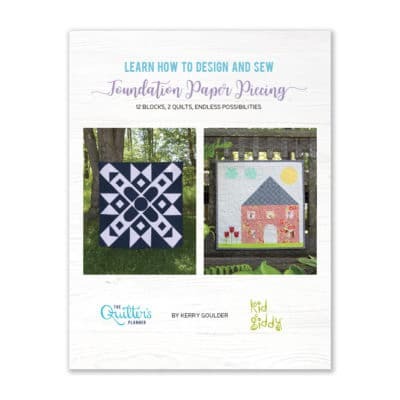 Please share it with us in The Quilter’s Planner Facebook group (https://www.facebook.com/groups/QuiltersPlannerwithStephaniePalmer/)! 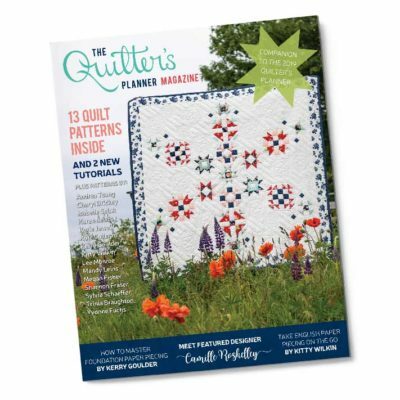 Still need to grab a copy of the Quilter’s Planner? There are just a few copies left, so go for it!